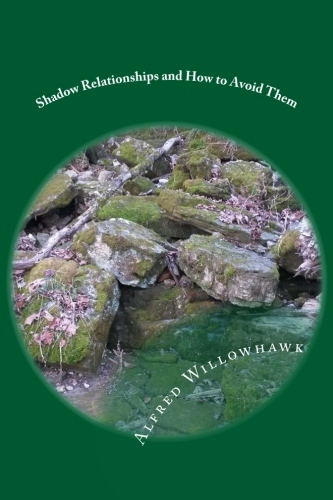 What happens when we create relationships from our shadow? What happens to those relationships when we begin to truly face and work with our own shadows? Is there a difference between toxic relationships and shadow relationships? These questions and more are answered in the book, Shadow Relationships and How to Avoid Them. The Shadow, it means many things to many people, and each person’s interpretation of it is correct. This may seem a strange way to start a book that is focused on helping to illuminate our relationships from a shadow perspective, however, it is still true. The key thing to remember is that you created your shadow, as has every other person. No one has the inherent right to question or belittle anything that you have created for yourself. C.J. Jung has much to say on the personal shadow. In his collected works he says, “the thing a person has no wish to be” [C.J. Jung, CW16, para 470]. This means that we place all that we do not like about ourselves in our shadow. This is a good thing, as that which we can place in the shadow we can take out of the shadow as well, it does not need to be an all or nothing kind of thing. Looking in another part of the Collected Works we see that Jung elaborates a bit by saying, “shadow is that hidden, repressed, for the most part inferior and guilt-laden personality whose ultimate ramifications reach back into the realm of our animal ancestor, [CW9 para 422 ], and in the next paragraph, “ If it has been believed hitherto that the human shadow was the source of evil, it can now be ascertained on closer investigation that the unconscious man, that is his shadow does not consist only of morally reprehensible tendencies, but also displays a number of good qualities, such as normal instincts, appropriate reactions, realistic insights, creative impulses “ [CW9 para 423]. So, what does happen to those “uncomfortable” or “unwanted” aspects of oneself? We place them in our shadow. Those aspects of ourselves that we call “Shadow” are those aspects of our personality that we as individuals deem “not good”. In order for us to say that something is not good, requires a judgment. A personal judgement that we make on ourselves due to a plethora of reasons. Some of these reasons are related to our social environment, our personal experience and other learned behaviors.. I have had many conversations with people who talk to me about how some individuals are DARK and others are LIGHT – what a crock. It is all energy. Energy just IS. The entire concept of Light being somehow innately GOOD and Dark being innately BAD is dreamed up by individuals and groups who wish to control large masses of people and take people’s power away. Here is an example I really like. A particular person grows up in a home where to be compassionate and sensitive is considered a “problem”. As a child the compassion that the child showed was repressed, punished, etc. We are not talking about child rearing right now – so as an adult this person put compassion in their shadow – or – that place where we put things that we do not wish to present to the world! A different person grows up in a home where to be angry and show it is a problem. As with the previous child signs of anger were repressed, punished, and as an adult this person is very quiet, does not show anger – they repress this aspect of themselves. OK, NO JUDGEMENT here. BOTH of these examples are valid! So, repeat after me – there is no good, there is no bad, there is no good shadow and no bad shadow there is only ME!